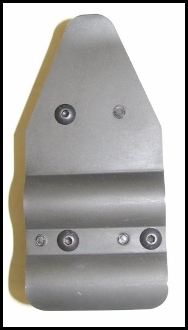 Allows the use of any AR15 iron sight on your SST-870 rail. The SST-870 iron sight uses an AK-47 front sight post as this allows for greater elevation adjustment. The front sight bolts around your barrel and magazine tube. Some fitting may be required for different barrel profiles.